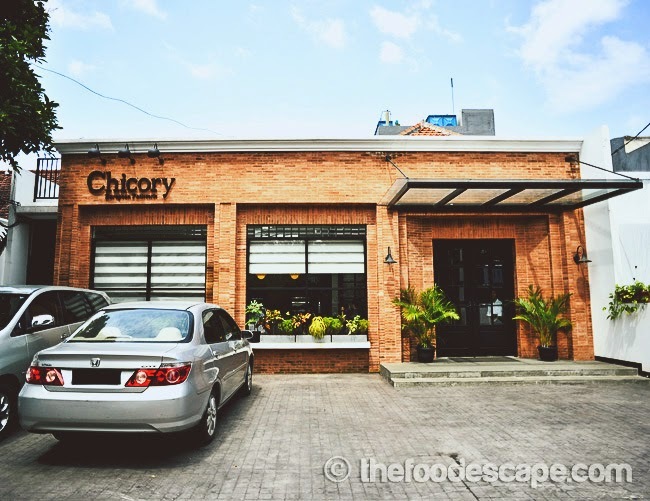 Some weeks ago, I went to this restaurant called Lucky Day, which is quite popular judging from its rating and reviews in Trip Advisor. Whenever I need information on where to go, I often check that website to see what people’s recommendations are. We went there during dinner time, as I learned before that there is no parking area, so we parked somewhere near an unfinished building and walked to the restaurant. The signboard assures that nobody will get lost. 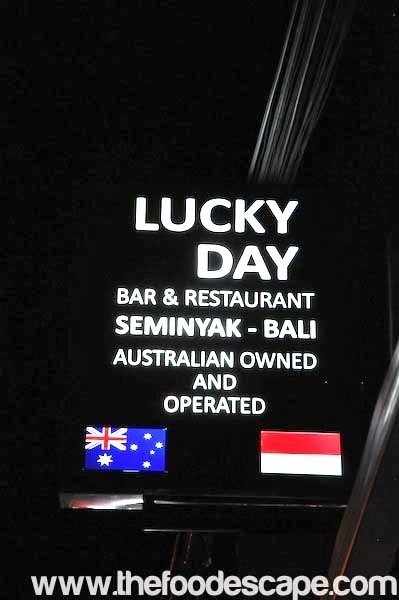 As the board suggested, yes, Lucky Day is owned and operated by Australians. From what we gathered later from one of the staffs (they are very scarily friendly, by the way! 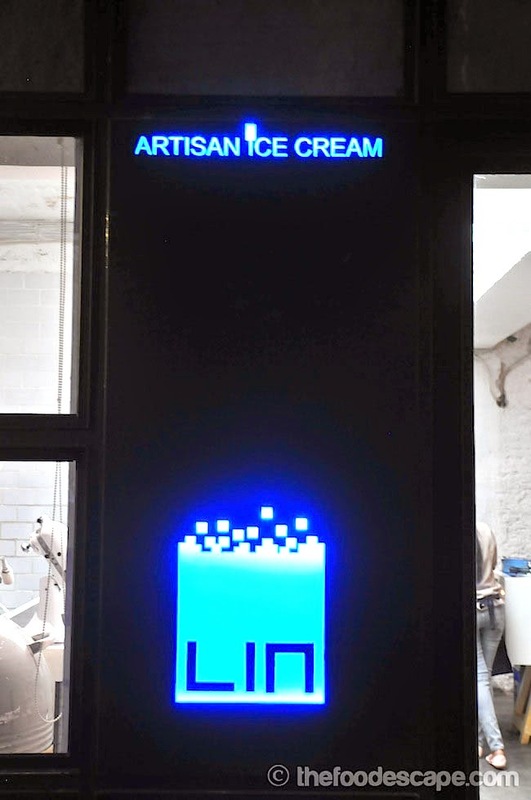 ), this place has been operating for 8 years and the current owners (Mitch & Emma Brown) are the third one. 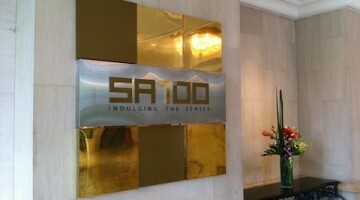 The place also underwent some major changes but seems like most all of the staffs are the same ol’ ones. 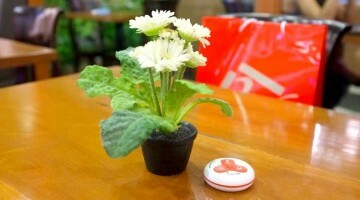 When we entered the restaurant, there were several tables occupied by foreigners. It was quite, or perhaps, very dark, and it was a bit challenging to take decent photos. Luckily, the waiters and waitresses were very friendly and helpful, some of them even spent time approaching our table and talked about photography and camera. 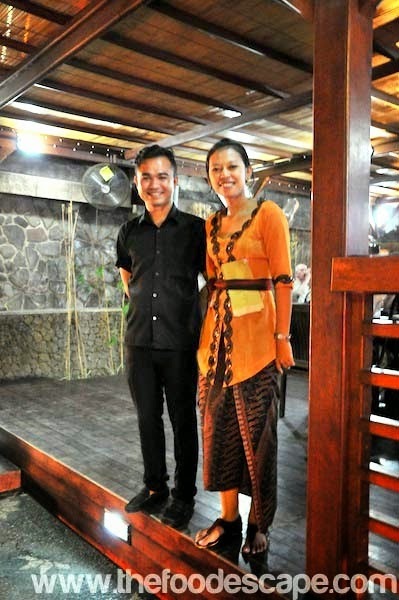 The restaurant is very Balinese in term of style, but with some Western touches here and there, it is a very nice place to hang out. 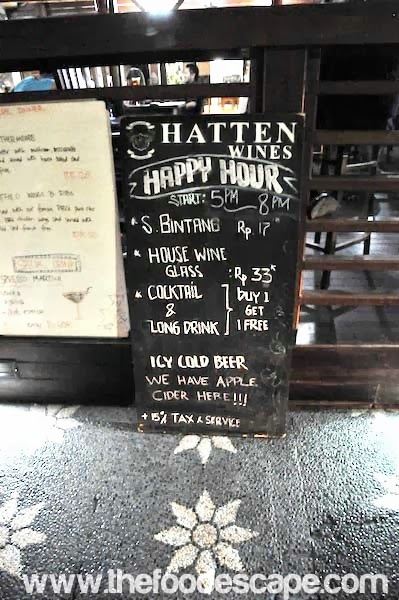 They even offer very generous happy hours: from 12pm to 3pm, then 5pm to 9pm, 7 days a week, which is one of the reasons why I chose to visit there after reading some reviews from Trip Advisor. 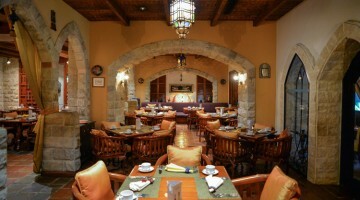 East meets West theme brings a unique concept for the restaurant’s interior. 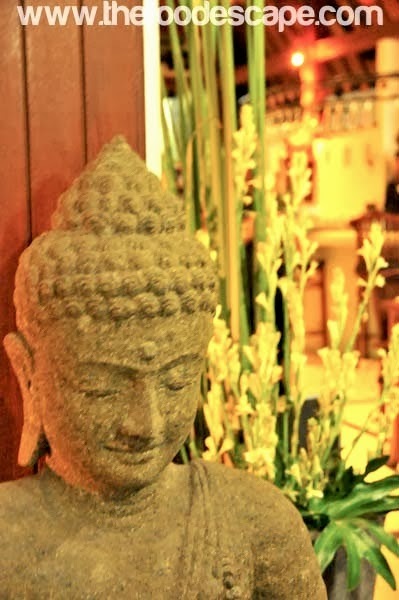 I found this stone Buddha statue very calming and comforting. Many choices for your happy hour drinks. When I saw the menu, I was very surprised to see how many categories they serve. 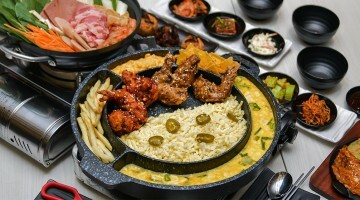 From tapas to Asian fusion, it seems like Lucky Day really put lots of efforts to create the menu. They have everything, literally. 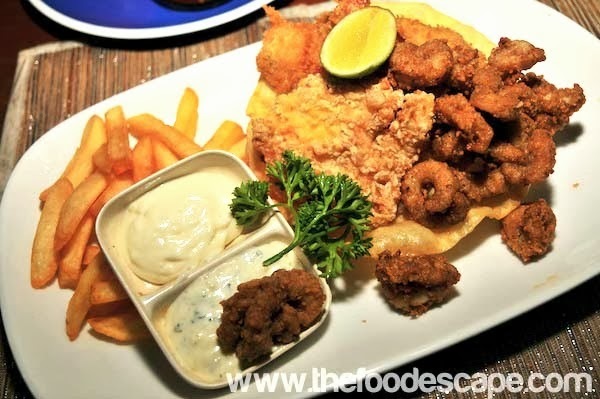 The first thing that I chose was the Fisherman’s Basket, which is basically a seafood (fish, squid and prawn) platter, beer-battered, served with lemon wedge, french fries and tartar sauce. It is indeed a very simple food and it’s hard to see the quality of a restaurant judging from fried stuffs like this, but at least I know the quality of ingredients. The platter was nice, okay, not too oily and the seafood was fresh. 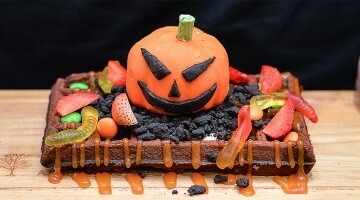 It is also a good choice to order when you bring your crowds because it can be shared. 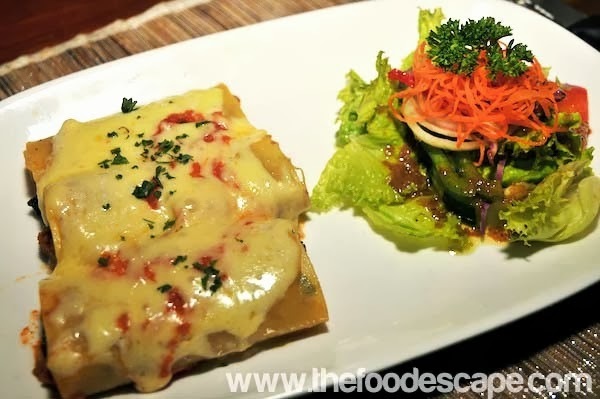 Cannelloni is just another type of cylindrical pasta which is usually baked with a filling covered by sauce. I had never tried it before so I ordered it just out of curiosity. The filling for our cannelloni that night was ground beef mixed with Spinach Béchamel Sauce and Parmesan Cheese, and of course tomato sauce. Honestly I wasn’t impressed when it was served on my table (hello, that looked like a tiny mini portion of pasta and didn’t look appealing at all), but it was delicious. The sauce was really nice, and the pasta was well-cooked and melted in my mouth the moment I ate it, perfecto! We decided to try their pork ribs and boy, I wasn’t disappointed. 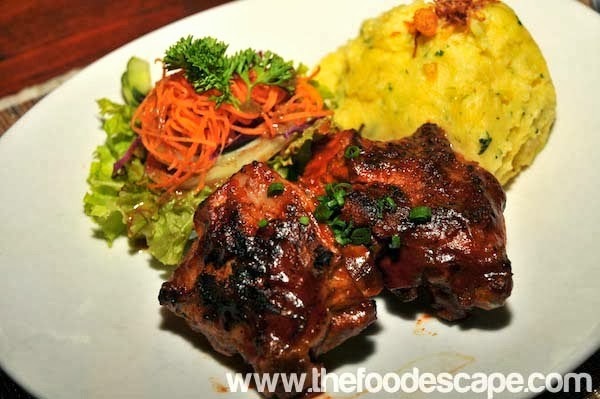 It might not be the best pork ribs in Bali, but I really liked the sauce. The ribs itself were soft and tender, easy to eat, and satisfying. The sauce was great, unlike regular BBQ sauce which is usually too sweet or too sour for my taste. Since there was still happy hour that time, we also ordered cocktails, which they had the promotion of BUY 1 GET 1. I always love BOGO promotion, and I really appreciate restaurants which holds this kind of promotion. 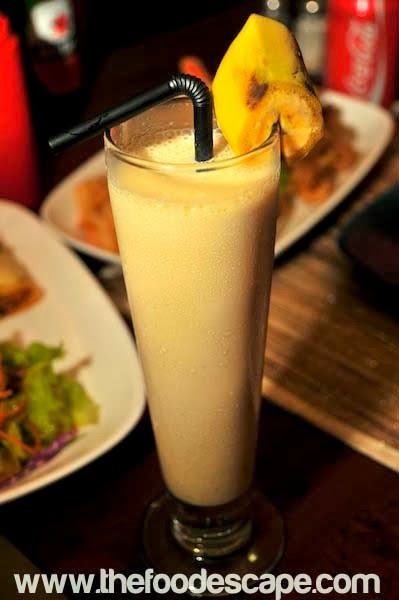 I ordered a banana-based cocktail, combined with Bailey’s etc, it tasted really good. 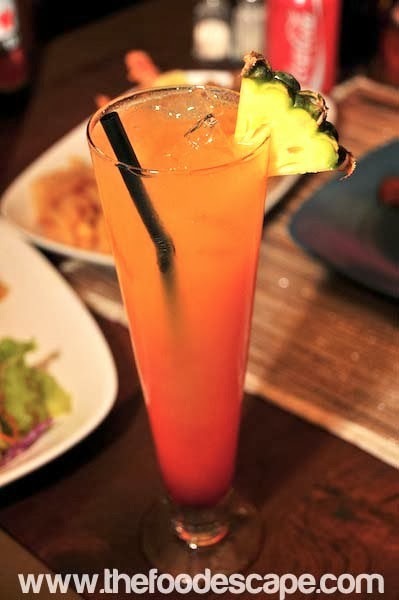 Another one is Mai Tai, the cocktail based on rum, Curacao liquor and lime juice. I didn’t try this one but Mr. P said that it was very nice, too. A nice set of meal will never be complete without a dessert. 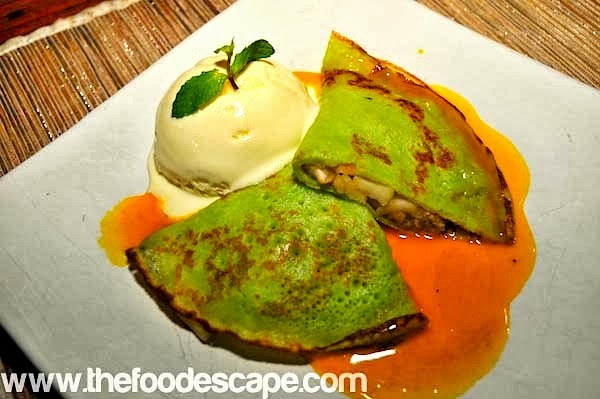 So we ordered the Crepe Suzette, a French dessert, which is basically a crepe with Suzette sauce (more info here). The crepe was nice and well cooked, the sauce was aromatic but a bit too watery in my opinion. The vanilla ice cream was an extra, but it is recommended to order ice cream to accompany your crepe. 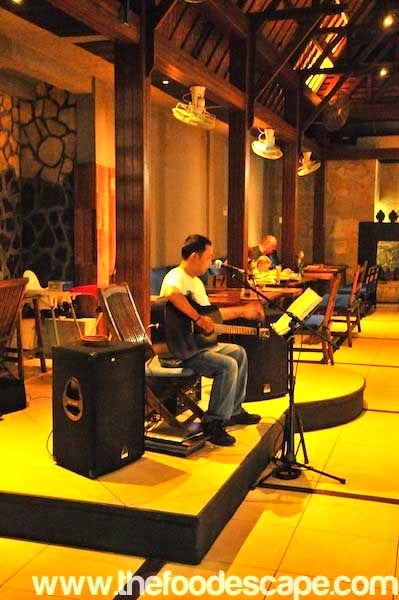 I also have to mention about the live music performances in Lucky Day, which we can enjoy everyday starting from 7pm. And when I was there (Friday night), the singer was a very, very talented man. I always enjoy live music in restaurants/cafes but it had been a long time since the last time I enjoyed such beautiful performances. Psst, I heard the performers in Lucky Day love getting song requests, too! So why not try requesting some of your favorite songs there? The talented performer was a gem that night. The owner was having some fun chat with the staffs. 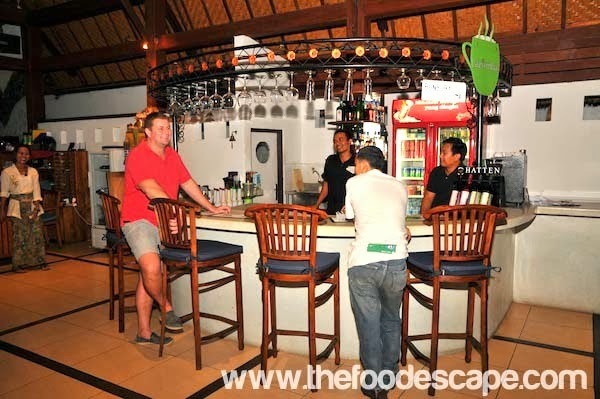 The warm and friendly staffs ready to serve you. 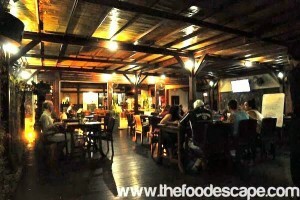 Atmosphere: Artistic, great place to hang out, from romantic night to family time. Service: Awesome team of staffs, friendly and welcoming, informative and speak English well.